Come to the aid of modern means of automation. 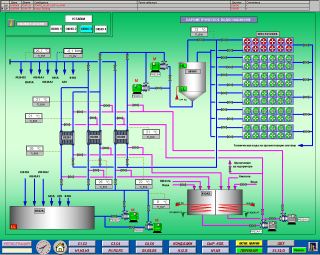 The evolution of the software industry has led to a specific class of programs, a sort of electronic equivalent of "classical control panels - SCADA-systems. 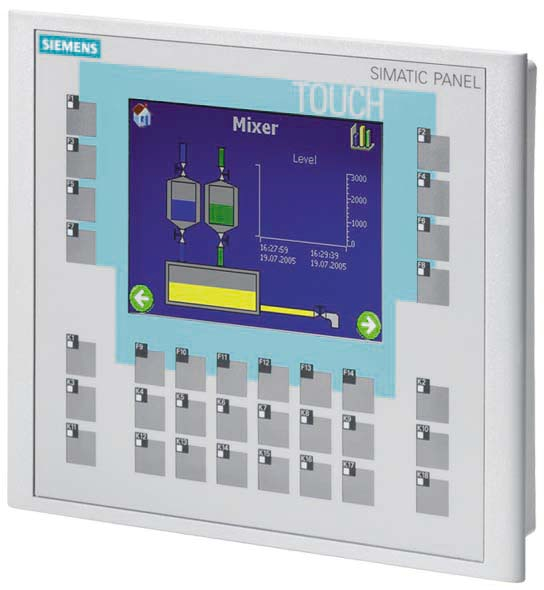 Program visualization and control in most panels are classified as HMI class, that is, represent a simplified version of the SCADA. 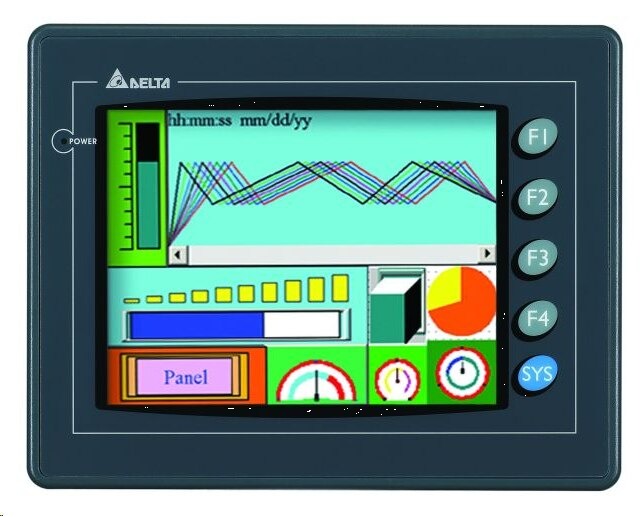 Quite a few PLC manufacturers release their operator panel, and many of these panels can not only work with "their" equipment. For various reasons, the company "YugPromAvtomatika" in their designs the most widely used Siemens, OMRON, DELTA, OWEN ..
Siemens Simatic TD17, OP3, OP5, OP7, OP17, OP25, OP27, OP73, OP77A, OP77B, TP177A, TP177B, OP177B, TP270-6, TP270-10, OP270-6, OP270-10, MP270B-6, MP270B-10, MP370-12, MP370-12, MP370-15 etc. ..
OMRON NT2S, NT15S, NT18S, NT20, NT21, NS7, NS10, NS12 и др..
Delta Electronics TP02G, TP04G, TP05G, TP08G, DOP-AS35, DOP-AS38, DOP-AS57, DOP-A80, DOP-AE57, DOP-AE80, DOP-AE10, DOP-B05S, DOP-B07S, DOP-B10S etc. ..
Mitsubishi electric F920GOT, F930GOT, F940GOT и др..
PanelVisa PV035, PV037, PL037, PL035, PL057, PV080-VNT, PV104-VNT, PN084-TNT, PV121-TNT etc. . Programmers LLC YugPromAvtomatika the development of projects is taken into account several parameters such as: ergonomics, reliability, user-friendly interface. Wide choice of development environments SCADA-systems from different manufacturers allows the company to offer customers a variety in terms of functionality, price and terms of performance options for the ACS. For example, the Master of Scud up to 32 points for free! SCADA is a software package, which includes specialized software modules: module design, module runtime (Runtime), communication module, the module data archival module, emergency communications, administration module. 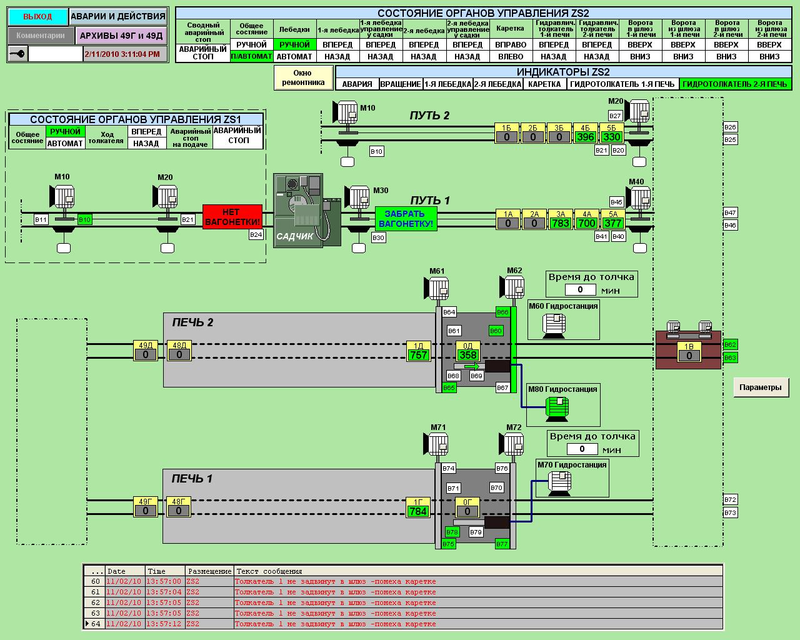 Consider a general purpose core modules SCADA system. Design module, or another tool environment designed specifically for developing a working draft. Largely thanks to the concept of SCADA, the basis of which is partially automated design, solve a number of problems - the minimization of project development time of ACS and direct cash cost of their creation, ease of further extensions and perenastroek. 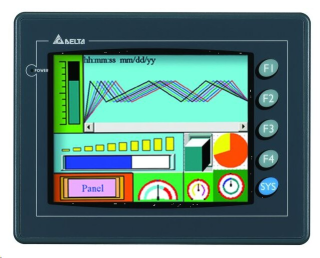 Technological process on the monitor screen is represented as a mimic, and the parameters of the technological process can be displayed in real time in digital form, and through animated images, change color, size, position, appearance - depending on the state of the corresponding parameter. Necessary elements are active mimic that allows the module to the runtime to handle operator input commands and to transfer their equipment. Archival information in the mode of execution can be represented on the screen of a workstation in the form of tables, graphs, or, for example, messages. The module provides access to archive data for any time period during which conducted archiving, enables creation and printing the reports. Some SCADA systems allow you to export data from archives in the formats of external systems (MS Access, MS Excel), as well as record in the archives of the staff (up to switch between windows). Produces the detection of emergency events associated with the controlled process and the functioning of software and hardware control systems. When this module notifies the operating and maintenance personnel, issuing reports on the accident and sound. Operator is given the ability to customize features and criteria for the detection of emergency events. Capabilities and backup emergency events. With this module, create user accounts and developers SCADA system and using a password system privilege separation user access to the monitoring and control. Under this concept can combine several different functions. They all share a common purpose designation - links this SCADA system with external objects. The most common communication is the data source connection. 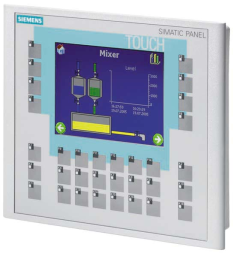 The data source can be directly PLC, SCADA, if the driver has and the opportunity to work directly. But more often between the data source and SCADA uses an intermediate element - OPC server. OPC Specification is a standard that enables independent software developers and hardware vendors to create products compatible with each other. Introduction This specification facilitates the creation of ASU from diverse components as well as rare a developer of SCADA systems quickly released the driver on the existing diversity of PLC. Another function of the communications module can be considered an organization architecture the server and client. " This architecture allows to increase the number of workstations without increasing the load on the link to the PLC, since all data received and sent by the stations, customers are allocated a server station. The individual stations can be connected to the network without any impact on the work of the server station. 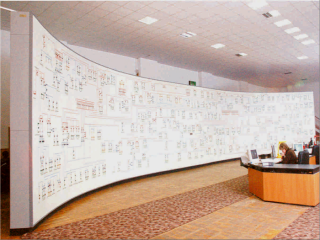 An additional argument in favor of such an architecture can serve as a policy of licensing of some SCADA. Price Architecture "server and client can be an order of magnitude below the price of a multi-user architecture, and the number of customers in some of the licenses is unlimited. Also to the functions of communication module may include intensifying recent popularity of the technology «web-client." 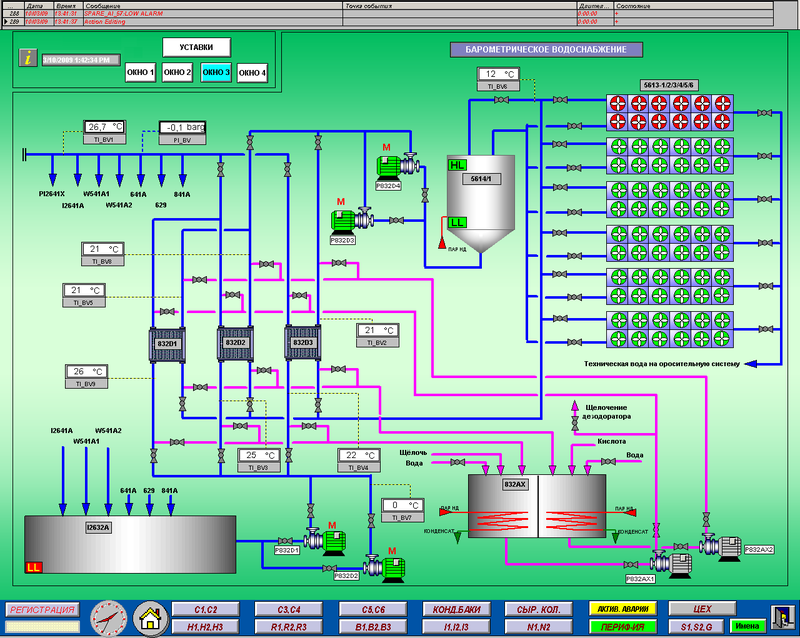 The technology is simple: SCADA system is connected to the Internet and works as a web-server. Through the Internet, you can anywhere in the world to observe the process and even control it using any standard web-browser. Unfortunately, not all SCADA systems support this technology.